In every realm, I ended up with someone... that I end up giving that title to. First off, being a 'nemisis' is not a bad thing at all, and they usually ARE truly my friend, I do care 100% about them and wish no ill will at all. 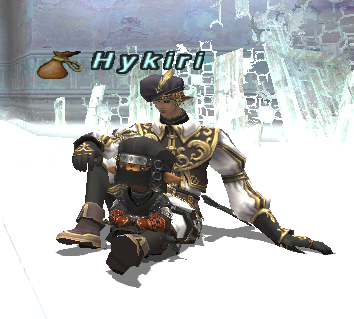 Hykiri is a true FRIEND. 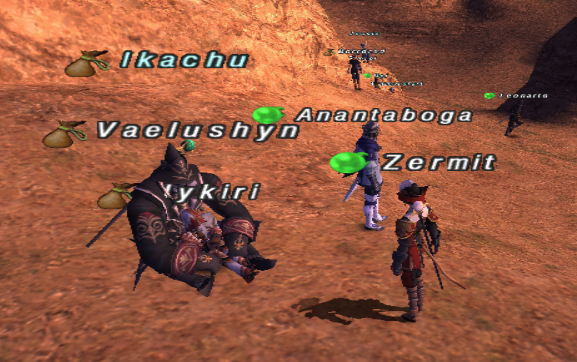 now obviously he is in this picture, not sure WHERE... galkas are BIG... and he is tiny. also for those that KNOW me, I'm quite asexual in all worlds and natures, his prodding of anything of that kind, espcially if directed toward me, results in the past with a pouring of vitriol... which i have stopped doing cause i just plain ignore now ^^ (this includes his failed due to his statue ear humps) and for the record, the OTHER zermit, the one the name originated with, She'd have castrated him with her teeth about 15 days in meeting him.... so i've been actually NICE.